I know that Broadband Internet can be costly compared to DSL or cable. But having the convenience of being able to have Internet access any and everywhere I go makes the premium worth it for me. I move too much to be restricted to a residence (I'm moving soon). I will say this if you get one make sure that 3g is available in your area. If it's not, it's almost worth waiting for. 2g is not THAT slow, but still (I started to take it back). 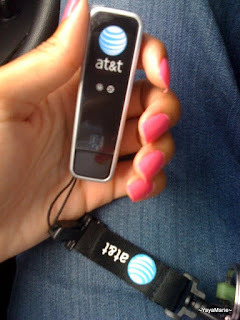 I'm paying for convenience AT&T provides wi-fi where I need it most HJ Atlanta Int Airport & Starbucks. So, I have 3g or wi-fi when I need it. It's a package deal even if they say it's free (to connect wi-fi hotspots), you are paying for it (monthly charges), so you may as well use it. That's my positive testimony of AT&T.